In 12-inch skillet, heat butter over medium-high heat until sizzling. 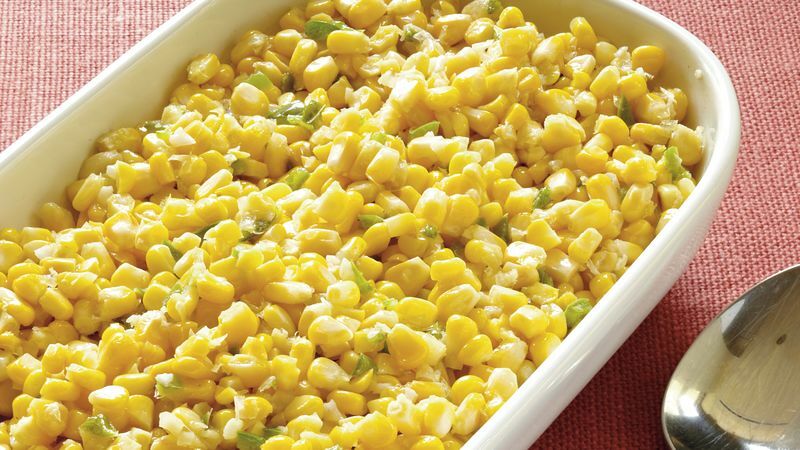 Add remaining ingredients; cook 8 minutes, stirring occasionally, until corn is tender. Serve warm. You’ll most likely need about 8 large ears of corn to get 4 cups of kernels. When seeding and chopping jalapeños and other hot chile peppers, it’s a good idea to wear rubber or plastic gloves. The capsaicin in the peppers can irritate skin and eyes.